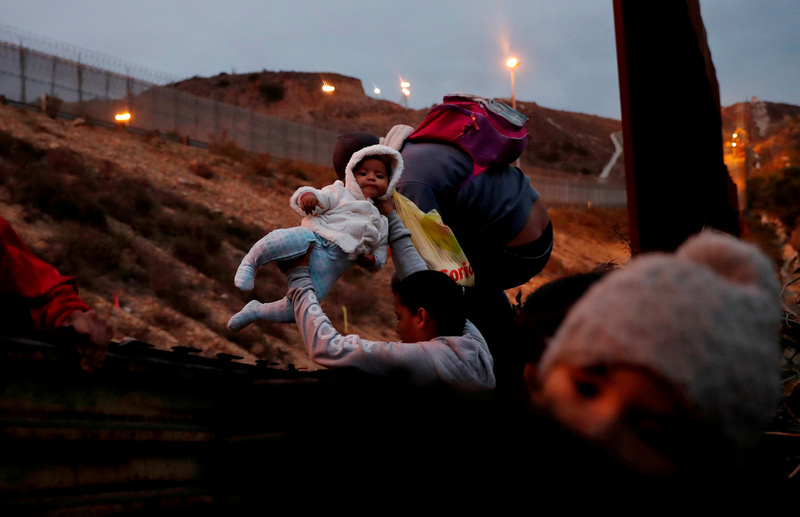 Immigration hardliners have blasted the congressional deal on border security, which includes far less funding for a border wall than President Donald Trump initially requested. Members of a select bipartisan committee announced late Monday that they have reached an “agreement in principle” over border security. While lawmakers have yet to produce legislative text, the deal will reportedly include $1.375 billion for physical barriers, which would fund 55 miles of new border fencing. The deal also includes a new cap on migrant detention beds, lowering the number to about 40,000 total beds. Such a funding agreement would be a boost to what the country already spends on border security. The U.S. federal government has doled out roughly $9.7 billion building physical barriers since 2007. The majority of this money has been allocated to barriers along the country’s southwest border. Around 650 miles is protected with some sort of fencing, leaving roughly 1,350 miles still open. The current compromise is a far cry from the $5.7 billion Trump has long requested for border wall funding. Immigration hawks have already begun hammering it. A spokesman for ICE declined to comment on the tentative deal. It’s not clear if Trump would find the $1.375 billion in funding acceptable. The president said at a campaign rally in El Paso, Texas, Monday night he would “never sign a bill that forces the mass release of island criminals into our country,” referencing Democrats’ goal of reducing the number of migrant detention beds that house illegal aliens. Such a reduction would force immigration officials, they believe, to prioritize holding only criminal illegal aliens while letting otherwise law-abiding foreign nationals loose. FAIR blasted the idea of reducing the number of detention beds. “It was troubling to see that Republicans were even negotiating on detention space,” Hauman continued.